A beautiful wall sconce by Parisian maker, Baguès. Since 1860, The Maison Baguès, has been located in the center of Paris and specializes in the creation of luxury lighting. 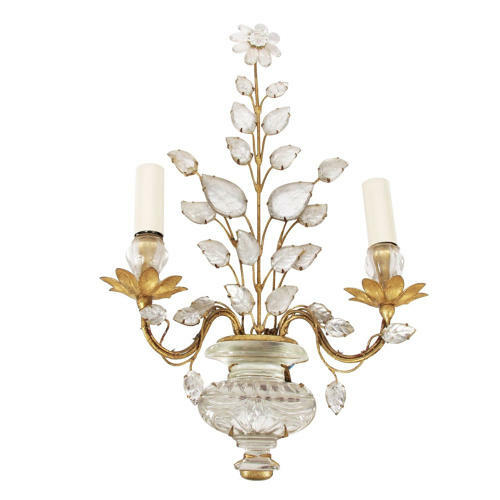 Early on, it became the emblem of French savoir-faire in lighting and wrought-iron work, along with French craftsmanship, which is highly valued internationally.